Preserving the true foundation Morgan horse, whether purebred or half-Morgan, as a real show competitor and still a great all-purpose family horse. A non-profit organization formed to promote responsible breeding and use of Morgan horses as versatile pleasure, sport, and show horses, and to exchange and promote knowledge of the Morgan breed. For the 25th consecutive year, the Morgan Grand National has been a part of the Oklahoma State Fairgrounds, featuring more than 1,100 entries. Advertising, sponsorship, rules and regulations, judges, show committee, classes, results, youth program, and contacts. Organized to encourage the use of and to promote Americas first horse, the Morgan. Information on the club championship show, and membership. Colorado. Established in 1990 to promote the Morgan horse in this country. Hosts breeding, nutrition and shoeing seminars and presented its first annual breed show in 1994. Offers pure and part-bred Lippitt Morgan horses and ponies, for show, pleasure, and sport. Stallion service, offspring, photographs, and horses for sale. Offers pure and part-bred Lippitt Morgan horses and ponies, for show, pleasure, and sport. Stallion service, offspring, photographs, and horses for sale. Brookfield. A promotional site for an association of Morgan Horse owners, breeders and competitors in the state of Kentucky listing current show events and sales. The official American registry of the Morgan Horse. Includes registration information, membership, magazine, listing of clubs and organizations, and show schedule. The Journal of the Traditional Morgan Horse. A publication for classic Morgan owners and admirers. Quality Lippitt Morgan Stallion Service and Morgan horses for sale. View photos and descriptions of the beautiful Morgan horse. Located in Underwood. Offering classes for Halter, Park, Saddle Seat, Hunt Seat, Western Pleasure, Driving, Barrel Racing and Pole Bending, Obstacle Driving, and Trail Courses. Dates and information. Hosted by the Alaska Morgan Horse Club. The official e-mail list of the Morgan Dressage Association, dedicated to discussing the use of Morgan and Morgan crosses in dressage. Information on how to join, message archives for members only. Morgan show horses, boarding facility and lesson programs. Contains history of the breed, contacts, forms, show information, and photos. Old-style bred Morgan horses of full Lippitt lineage. Farm history, Lippitt Morgan FAQs, stock profiles and photographs, and sales, also Standard Poodles. Breeding for show and sport disciplines with an emphasis on old-style Morgan looks, ability, and disposition. Broodstock, sales, and links. Located in Binghamton. Home of Grand Champion O.L. Show-Stopper. History, stallion services, stock profiles, photographs, and sales. Located in Nuevo. Morgan horse farm and breeding facility. Featuring show horses, stallions, sales and breeding. Winchester. A collection of sites dedicated to the classic-type of Morgan Horses. Raising Morgan horses with an emphasis on western working bloodlines for pleasure, sport, or show. farm history, stock profiles, photographs, and sales. Galesville. If the business hours of North Central Morgan Association in may vary on holidays like Valentine’s Day, Washington’s Birthday, St. Patrick’s Day, Easter, Easter eve and Mother’s day. We display standard opening hours and price ranges in our profile site. We recommend to check out northcentralmorgan.com/ for further information. 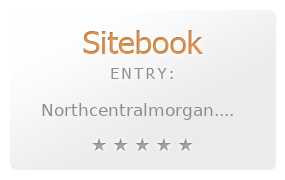 You can also search for Alternatives for northcentralmorgan.com/ on our Review Site Sitebook.org All trademarks are the property of their respective owners. If we should delete this entry, please send us a short E-Mail.